Summit Daily File PhotoPictured here a few years ago, Trygve Berge was Breckenridge's first ski school director. He still skis the mountain frequently. Breckenridge is known for its unique characters both old and new. These characters helped shape the towns 150 years of history, and also contributed to flavoring the town with something unique and all its own. 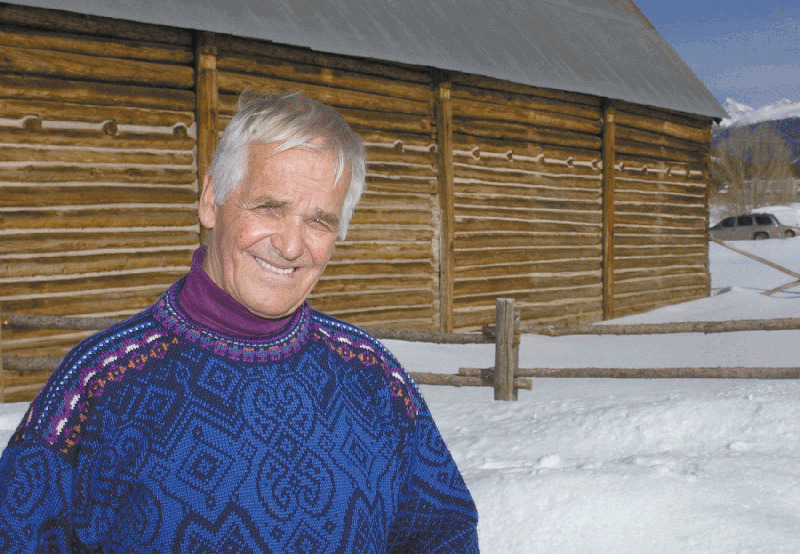 As the ski resort gets ready to close its doors for the season and the town celebrates the Breck150 throughout 2009, there is a character who should be recognized for his extensive contributions to shaping the resort and the town Trygve Berge. Facts about Trygve: Turns 77-years-old on closing day, April 19, 2009 Spent 10 years as the first director of the Breckenridge ski school beginning with the resorts founding in December 1961 Inducted into the Colorado Ski and Snowboard Hall of Fame in 1999 Still spends most of his time in Breckenridge Former Norwegian national downhill champion (1954) and member of 1956 Norwegian Olympic teamQ&A with Trygve:Q: How has the ski resort shaped the towns identity since 1961?A: I think it went much crazier than we ever thought it would. Theyve done a pretty good job as far as developing, not necessarily just the mountain, but more the town and mountain working together. Its kind of a combined effort. It wasnt in the beginning. The townspeople kind of hated to see all the development. But there werent that many townspeople at that time. Now all of a sudden its the most popular ski area in the United States. Q: What did you used to call tourists in the early days? A: We called them turkeys. Q: How come? A: They came from everywhere and they didnt know how to ski. But they are the ones who kept this whole community alive. There wouldnt be anything here if it wasnt for skiing. Breckenridge would be like Alma, or not even that much. Q: Whats it like having a ski run named after you? A: That happened because I had the ski school on that slope. And they told everybody in ski school to go over to Trygves run. Thats how it became mine. Q: Do you still ski that run? A: I would, but it isnt that hard of a run. Its still flattering to have a run named after me. But it was a lot of hard work in the early days, I tell ya, to get things going. We were at ski shows everywhere trying to promote the place. But not much happened until the 70s. Thats when it started to pick up.Q: How often do you go skiing these days?A: I ski two or three times a week. Ive got the lifetime pass to all of Colorado, so I can go wherever I want. But I ski Breckenridge quite a bit. Q: Just groomers?A: No, I ski moguls when there are good conditions.Q: Whats your favorite run at Breckenridge now? A: Its kind of fun to go up to Imperial and ski some of the upper stuff when the conditions are good. There are some runs on Peak 10 that are good. And Spruce is probably the best run on Peak 8 now. Its not very long, but very good rolling terrain. Q: As Breckenridge celebrates its 150-year birthday, what do you think modern-day residents should know that they dont already know about the towns heritage?A: Well, the history, of course, is mining. Mining is the reason Breckenridge is there. I think whats different from Vail, or even Aspen, is the community still has a lot of locals who get together right here in town. You go to Aspen or Vail, you dont see as many locals in town because its so expensive that people have to move downvalley. Families are gone, but this is still a nice family area. Q: What would a typical ski day entail back in the 1960s? Eat breakfast, go skiing, then drink some beers?A: Yeah, itd be similar. I think the locals skied more in those days. Now theyre busy, like they forget why theyre here. But I still know quite a few locals who, when they see a good powder day, they drop everything and go. People just love powder.For more information on Breckenridges history and the Breck150, visit breck150.com.